MARK Rainsley is an enthusiastic paddler, by kayak, canoe boat or paddleboard, and he suggests in his book Paddle the Thames that other paddlers may not realise the potential pleasure to be enjoyed that can be found further along the ‘riverine Arcadia’ of the River Thames. 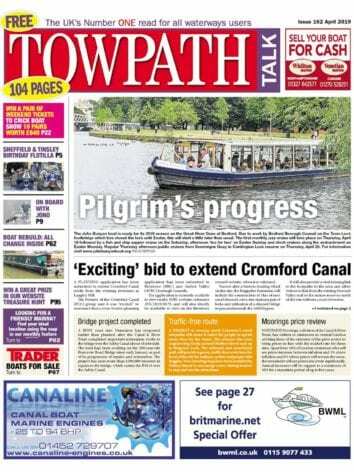 Rather than being just the province of power boats and rowers, it is accessible to all, and much new interest could be found by venturing further afield than generally from the bases of their own canoe clubs. The book begins with the author’s wise advice that the would-be travellers should be sensible to heed. He emphasises that they should make their own risk-assessment for the journey, with recognition of the limits of their abilities, and consideration of weather conditions, water levels, tides where appropriate, and weirs. They should also be aware of what may be ever-changing river hazards. He points out that in order to paddleboard beyond Putney Bridge, it is necessary to have the qualifications, required since 2015, of the Thames Skills and Knowledge at various levels. The length of the river is divided into 18 stretches, each with their own chapter. They all begin with suitable launch points, and make mention of likely hazards such as on the stretch between Cricklade and Lechlade, a very rural one, that of fallen trees. Each chapter is prefaced by a full-page photograph of the scenery, and is illustrated by further smaller photographs, and a well-detailed map. The course of the river on each stretch and its scenery, with interesting historical references is fully described and there are suggestions for particular places for which to look out, such as ‘Toad Hall’, or rather two ‘Toad Halls’. These are the Pangbourne to Reading stretch and are Hardwick House and Mapledurham House, which are believed to have been the inspiration for the artist E H Shepard, who provided the original illustrations for Kenneth Grahame’s The Wind in the Willows. They are both indeed fitting abodes for the aspirational Mr Toad. On the Upper Thames there is Kelmscott Manor, near Lechlade, the home of the 19th century leading figure in the Arts and Crafts movement, William Morris, and between Windsor and Chiswick is Runnymede, where in 1215 King John signed the Magna Carta. Interesting to keep a watch for are the Second World War pillboxes, so named for their shape, which were the look-out points for the Home Guard volunteers – ‘Dad’s Army’ – at points along the river. Some are hidden by vegetation but one is clearly visible near Tadpole Bridge, between Radcot and Shifford Locks, on the stretch between Lechlade and Tadpole Bridge. The pillboxes were part of General Ironside’s GHQ Defence Line, the author tells us. The line ran from Peterborough to and around the east and south of London and then westwards along the North Bank of the River Thames. From there ‘Dad’s Navy’, another branch of the Home Guard, manning small boats, were tasked with preventing river crossings by the enemy. Along the section from Hampton to Kew there are the 12th and 18th century large houses, with parkland and gardens, from when the more affluent who wanted to have a retreat from London aimed to create an ‘Arcadia’ with a pastoral perfection. One of the later chapters describes the trees, wildflowers, birds such as herons and kingfishers, and mammals such as otters and water voles that are to be seen along the river. At Cholsey, on the Wallingford to Reading stretch, can be seen the Lodden lilies, also known as summer snowflakes, which grow there and attract visitors to the area when they are in bloom in the spring; they grow to a height of 60cm. A nature reserve, also near Shifford Lock, is Chimney Meadows. 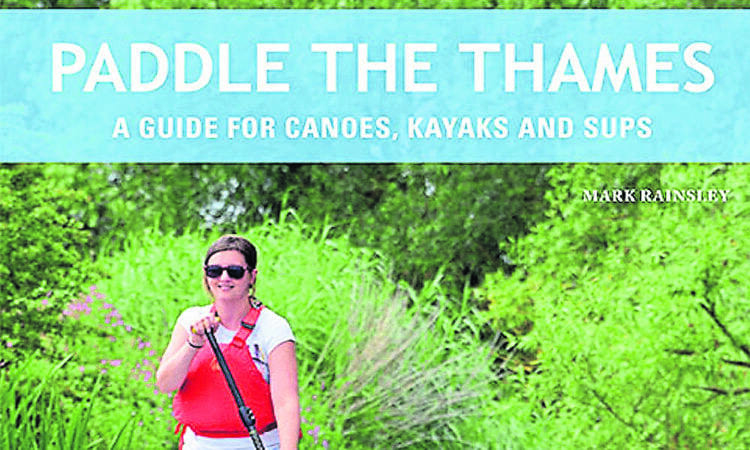 The author suggests that there are many reasons why paddling a little farther from home could be a very enjoyable experience. 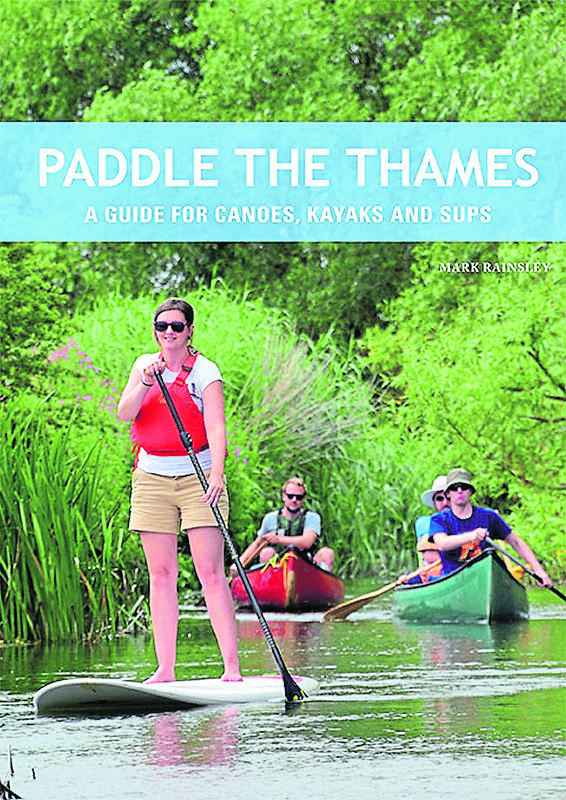 Paddle The Thames by Mark Rainsley is published by the Pesda Press (hardback 240 pages, £19.99).